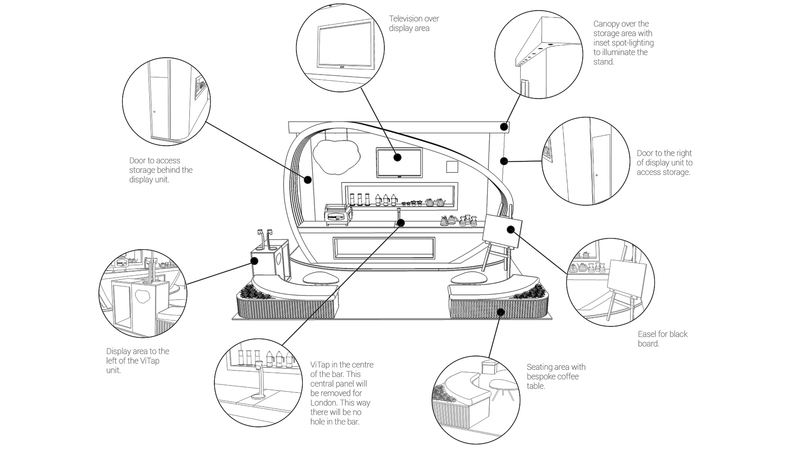 Brita showed at Amsterdam Coffee Festival in 2015 with Liqui as the consultancy behind their exhibition stand design and manufacture. In 2016 Brita showed again. 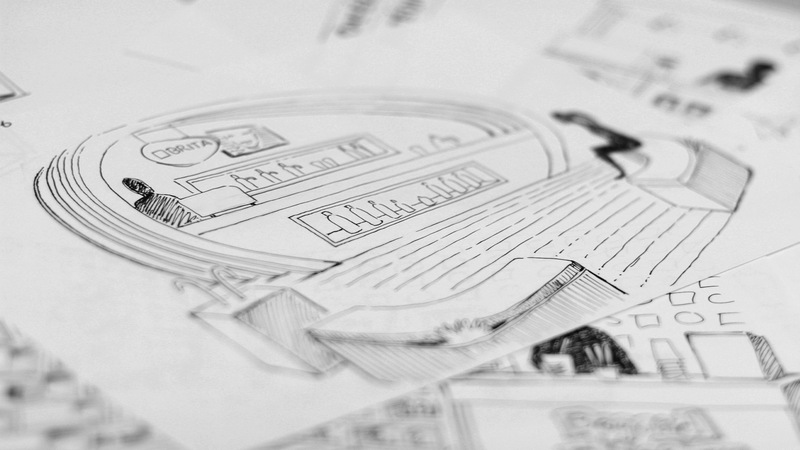 The original trade stand designed by Liqui performed so well that they wanted to go even bigger – capitalising on their success. 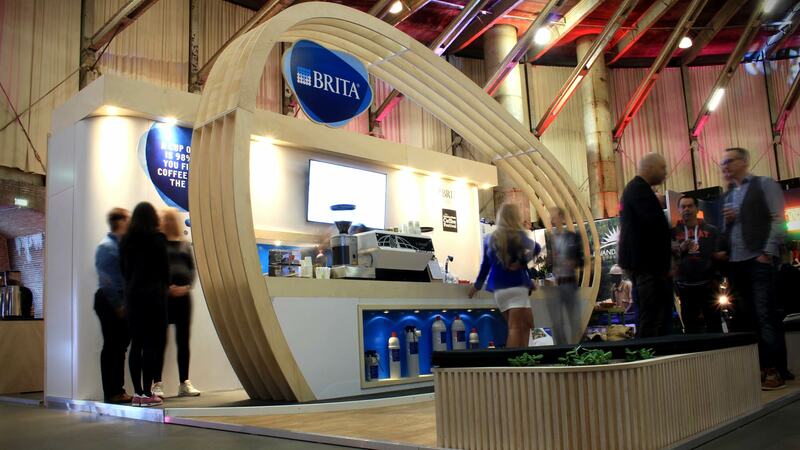 With this goal of making an even bigger impact at Amsterdam Coffee Festival than the year before Liqui looked at Brita’s new logo and took a sculptural approach to the stand. 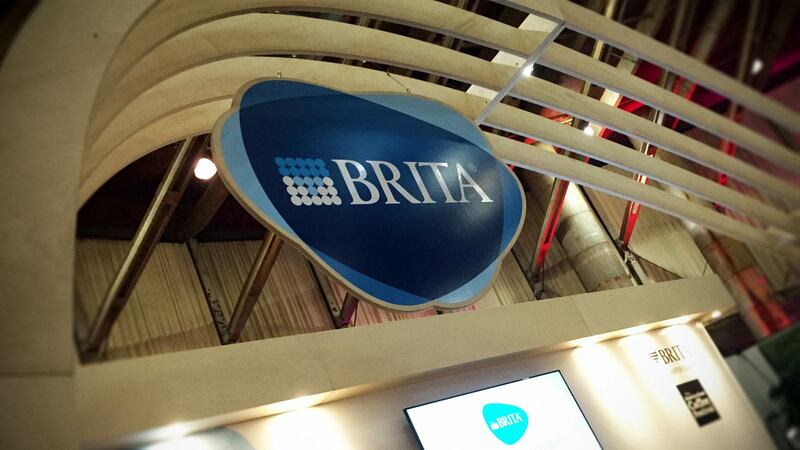 For the 2016 Brita trade stand Liqui created a huge Birch Ply canopy over the bar – setting the branded environment apart from their competition. The exhibition stand design takes curves to its heart with its curved white back wall and its Birch Ply curved seating. 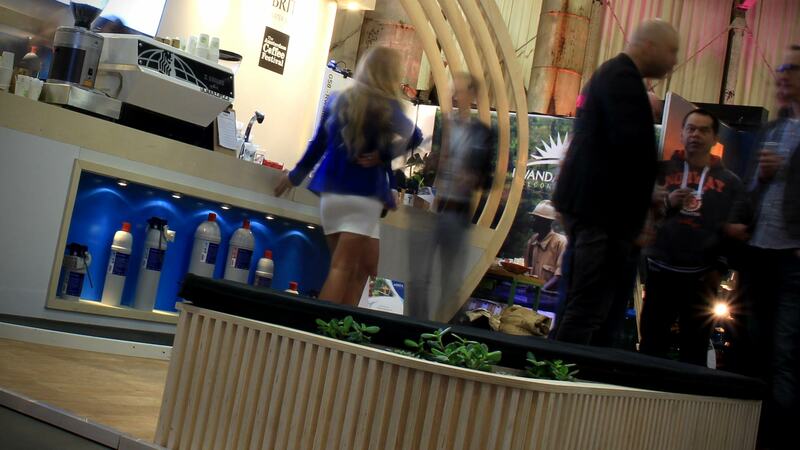 The entire trade stand has been designed to be high-end and refined – reinforcing and complimenting the Brita brand. "Designed to be high-end and refined"